Jasmin Fine created this Memorial Day themed recipe last year for the holiday. It’s so good we had to bring it back! Budget Saver Red White & Berry Blast Pops are the perfect addition to your holiday party. Check out more of Jasmin's awesome recipes at 1finecookie.com! Slice thin slivers of ripened strawberries. Remove popsicles from wrapping and set on a parchment-lined plate. 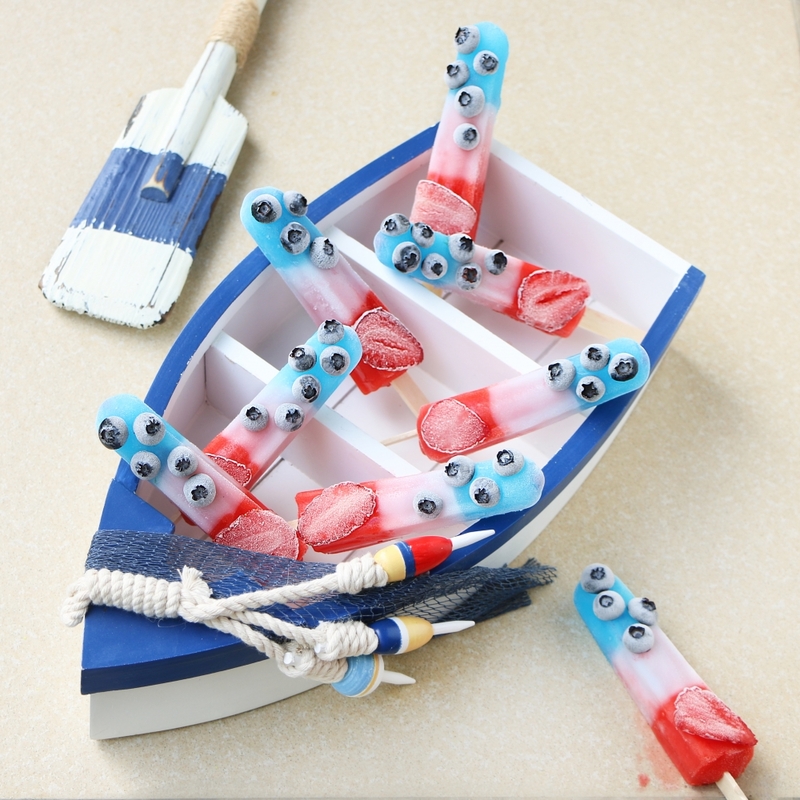 Press sliced berries onto popsicles. If needed, brush lightly with clear corn syrup. Avoid holding popsicles upright and freeze immediately. Keep freezer at a low temperature while setting and storing berry pops.